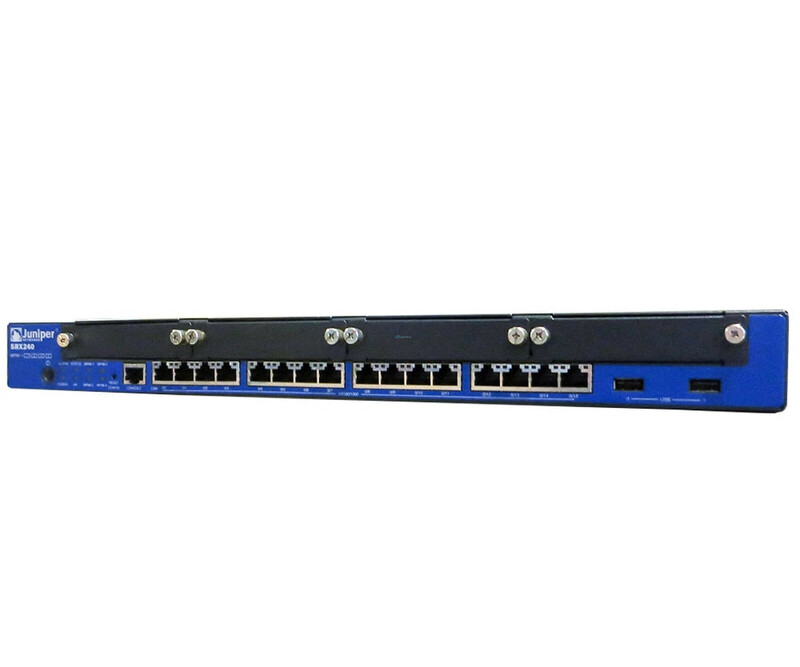 QLogic SANbox 5200 Switch - 20 Ports - Fibre Channel - 1U - 370-7694"
The Juniper Networks SRX240 is combined with a complete solution for small and medium enterprises and branch offices, the security, routing, switching and WAN connectivity. The Juniper Networks SRX240 is combined with a complete solution for small and medium enterprises and branch offices, the security, routing, switching and WAN connectivity. It nevertheless remains compact with 1U height and is easy to operate. We provide you with the used service gateway for very attractive price, of course, all the features are technically given. With the combination of different device classes do not necessarily go hand in hand limitations on performance. This demonstrates Juniper Networks with the SRX240 Service Gateway particularly impressive because of firewall throughput reaches up to 1.8 Gbit / s. IPSec VPNs provide up to 300 Mbit / s and the Intrusion Prevention System (IPS) copes with up to 230 Mbit / s. The necessary transfer capacity is thus ensured in any case. Juniper Networks has the security solution SRX240 equipped with a Unified Threat Management (UTM) that offers antivirus, application security, anti-spam, web filtering and advanced IPS. This will give you adequate protection against threats, and even questions system failures are avoided, which in turn can cause high costs. 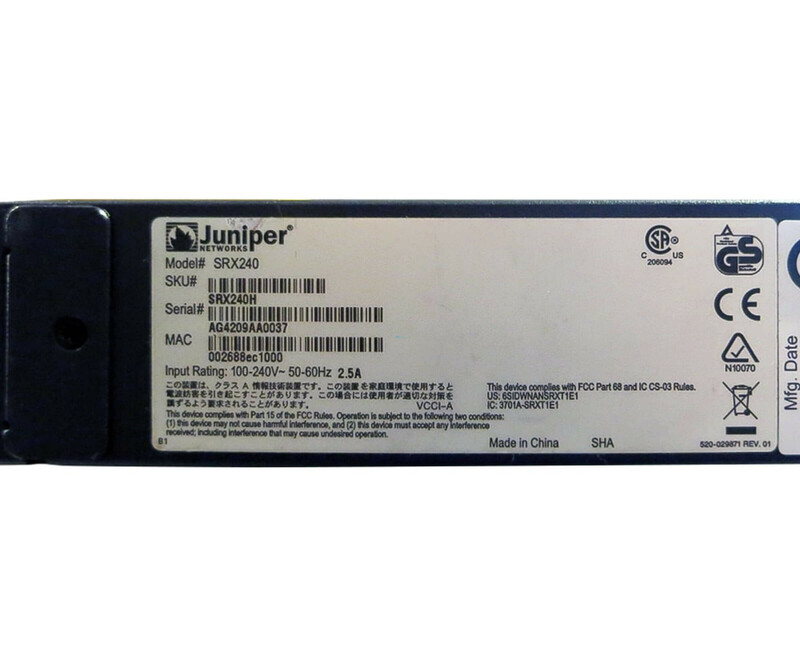 To connect the existing computer systems provides the Juniper Networks SRX240 Services Gateway provides 16 ports that can each operate according to standard Gigabit Ethernet. In addition, a 2 GB large memory has been integrated, which ensures short response times and rapid processing of the security solution.